Want to make your house smell good all the time or have that perfect fragrance that you wish for? A lot of people face the problem of the foul smell in the home due to various reasons(including us). But thankfully there are a lot of solutions to get rid of that foul smell and keep house aromatic. By just adopting certain ideas and doing a few hacks, you can easily make your home smell good naturally. Sure you can use an Air Freshener but these commercial air fresheners release a lot of toxic chemicals in the air (that is worse than foul smell). So, it’s best to get rid of these bad smells using safe natural methods. 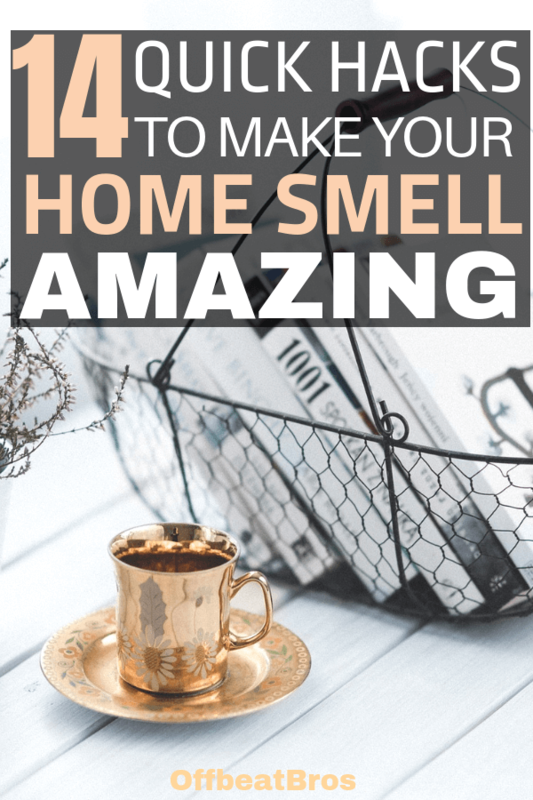 So whether you have guests arriving at your house in a few moments, or just want to keep your home smell amazing always, here are the things you can do to make your home smell amazing naturally. This is the first and foremost thing you must do before trying any of the hacks below. That full trash can in your kitchen might be the reason why your home is smelling bad. So, dispose of the garbage first(if not already done). You won’t be making any difference even if you use all the ways to keep your home smelling good, but have that garbage stinking in your house. The foul smell keeps on increasing the amount of time it occupies a place in your house. Only disposing of the garbage won’t work as some foul smell can still linger in there. So, it’s time to deodorize the trash can. Sometimes, even empty trash cans smell like someone died in there which in turn ruins the atmosphere of the entire house. So, how to deodorize trash cans naturally? Easy! Just use Baking soda. Now, you might already be aware of how effective baking soda is in keeping smells out of the fridge. The same is true for trash cans as well. Did you just smell that bad odor from your carpets? No worries, you just need to use cleaning power of baking soda. Sprinkle some baking soda on your carpets and leave it for around 10-15 minutes. Then vacuum it as usual. Magic! Smell is gone and your carpet is smelling fresh now. Amazing, isn’t it? This is the easiest and most natural way to get rid of the smell is fresh air. Let the fresh air enter your house through windows and doors. It will definitely take away all the unpleasant smell with it and also, provide a fresh and cooling sensation to your space. This will make your house smell good and refreshing but the problem is you cannot always open windows due to weather or many other reasons. That’s where natural room fresheners come handy! You can easily make it at home. All you need is a spray bottle, distilled water, a few drops of essential oil of your choice and a teaspoon of baking soda. Make a mixture of your favorite essential oil(5-6 drops) and baking soda(1 tbsp or 15g) and pour it into a small spray bottle. Then fill up the bottle with distilled water and shake it well. Tada! Your homemade room freshening spray is ready for use. It’s an amazing way to keep your house smell good all the time. Whenever you smell any odor or want a refreshing smell anywhere in your home, you just need to spray it. You can even use it on upholstery, fabrics, and carpets. A room spray is good and will be quite handy but going to every room and spraying it is a little tedious. So, if you are feeling a bit lazy or are simply tired to go to every room and spray the room freshener, here is an easy solution. Just heat 2-3 teaspoon of vanilla extract in your oven for about 10-15 minutes or till the time you start smelling its fragrance around the entire house. It won’t be as effective as the room freshener above but it works pretty well. Bad odor from sinks? Not to worry, just grab Vinegar and Baking soda. So what to do? 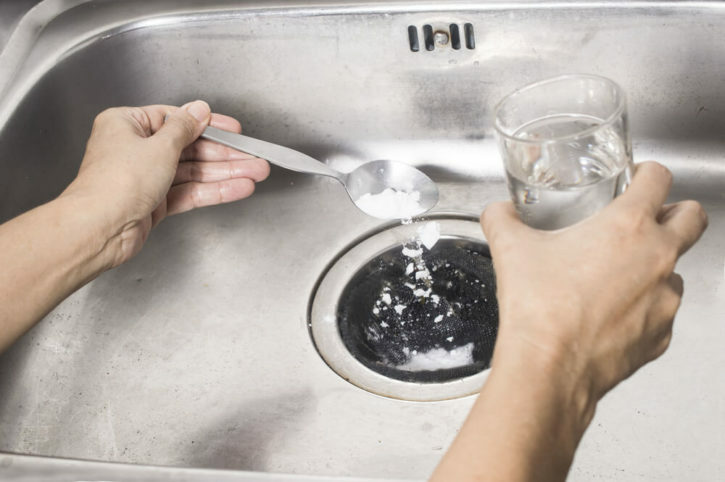 Sprinkle around 1 small cup of baking soda on the sink and then pour 2 cups of vinegar over it. Keep the sink in this situation for a few minutes. Then pour 2-3 liters of hot water in the sink. Your sink won’t smell bad anymore. Just like baking soda, vinegar is also an amazing cleaner and deodorizer. Want to read more about vinegar hacks? You would love these amazing vinegar cleaning hacks. Bad odor from the fridge but don’t want to use baking soda or out of baking soda? Just Place a bowl of plain oats in your fridge to keep it’s fragrance pleasing. Just like baking soda, oats will also absorb all of the foul and stinky smell in your fridge. Musty smell? Often, beds stuffed with cotton and other mattresses smell musty because of humidity. So what to do to make them smell good as before? Just keep them under direct sunlight for 4-5 hours. The heat from natural sunlight will get rid of all the musty odor from your mattress. In fact, it works with anything that smells musty as long as you can move it. Nothing can be more natural than sunlight. The other advantage is your bed will also get rid of any bugs if present. Ok, not only cotton balls. Put a few drops of essential oils on some cotton balls and keep them in various places in your house. You can place the cotton balls in your drawers, under your pillows, over furniture or almost any other place in your house. This will keep every corner of your house smell amazing. You can easily revive the fragrance when it dies. Just wet the cotton balls with essential oil again and the fragrance is revived. Easy! No, by this I don’t mean any natural spray or something. The term natural purifiers stand for the plants and some plants are amazing natural purifiers. Not only they provide us with oxygen but also keep the air around us fresh by keeping away odor. Plants such as snake plant, peace lily, parlor palm, golden photos, etc keep the house away from the foul smell. So, get some air purifying plants today. I tried this when a few guests were scheduled to arrive at our house. Although it is a very temporary solution which works just for a few hours, it is useful during such an emergency. For pleasant odor while using the fan, spray some room freshening spray which was shown above or essential oils or any other perfume on the blades of a fan. The next time you will use your fan, you will get a pleasant odor from the fan which adds up to the atmosphere of the house. Place good smelling dryer sheets under your pillow or even under your bed sheet while sleeping. Thus, you will smell and inhale an amazing fragrance even while sleeping. You need 2 tablespoon cinnamon, 2-3 drops of vanilla and 2 cups water. Put all of these in a small utensil and simmer on low. Amazing smell like that of cookies will occupy your entire house. You need to keep a check on it and add water occasionally as required. The smell will continue to grow as long as you continue the simmering part. So it is best when you have some guest at your place. What’s even better is that this mixture can be reused. 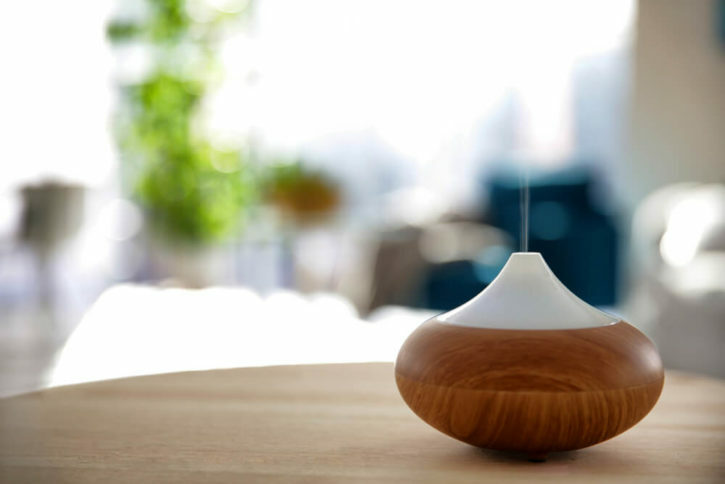 This is an amazing way to erase the odors from furniture. All you have to do is to place a bowl filled with baking soda inside the furniture. The longer you keep it there, the better your furniture will smell. You would also love these baking soda hacks. If you like these natural smell hacks, then do share them! How do you maintain the smell of your beautiful home? Any secrets? Now, we hope this post helped make your house smell good and refreshing, but if you have any other hack which can give home a pleasant smell, comment it below. We would be happy to hear from you!